This classroom version of our OSHA 8 Hour HAZWOPER Hands-On Training provides training to workers who require hands-on training to obtain their OSHA 40 Hour HAZWOPER certification. 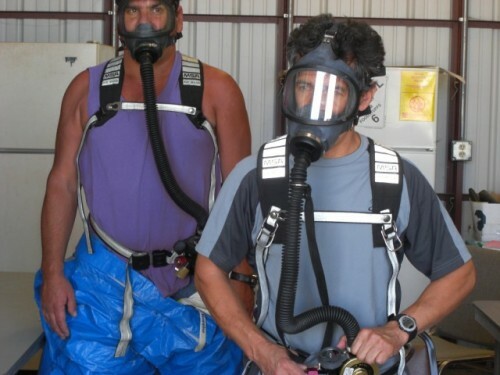 This OSHA compliant course can be combined with the 32 hour online training in the 40 Hr HAZWOPER combo course in order to complete the 40 hour certification. This OSHA 8 Hour HAZWOPER Hands-On Training (Classroom version) course is designed for workers who need the OSHA 40 Hour HAZWOPER certification and who require hands-on training. This 8 Hr HAZWOPER Hands-On course includes up-to-date, high quality training created with your safety and learning as our top priority. Once this OSHA HAZWOPER training course is completed successfully, you will be issued a Fed-OSHA certificate in accordance with 29 CFR 1910.120. You will be given access to download, save or print a Course Completion Certificate which is provided in PDF format. Within 24 hours of course completion, you will also be mailed a PVC credit card style Wallet ID Card, with optional photo, showing training course completion.